Jacobs Associates was founded in 1954 to provide practical, cost-effective, and innovative construction engineering. J. Donovan Jacobs believed in the importance of engineers “getting their boots dirty” in order to understand the construction process. He emphasized the importance of practical field experience, and focused on the disciplines required for underground projects, including geotechnical and structural engineering, rock mechanics and engineering geology. While our clients initially consisted mainly of construction contractors, Jacobs Associates evolved with the underground industry. Claims services were added in the 70’s to reflect the needs of our core clients. The firm began serving in the role of owner’s engineer in the 80’s as the prescriptive bid-build model became prevalent, adding underground construction management for owners in the 90’s. The firm was instrumental with implementing the first Earth Pressure Balance TBM to the U.S., changing forever the way soft ground tunnels are built in North America. This focus on innovation was recognized by the industry when Don Jacobs (1980), Jim Wilton (1987), and A.M. “Pete” Petrofsky (1998) each received the Golden Beaver Awards for Engineering. The first large-diameter Slurry TBM’s in North America. 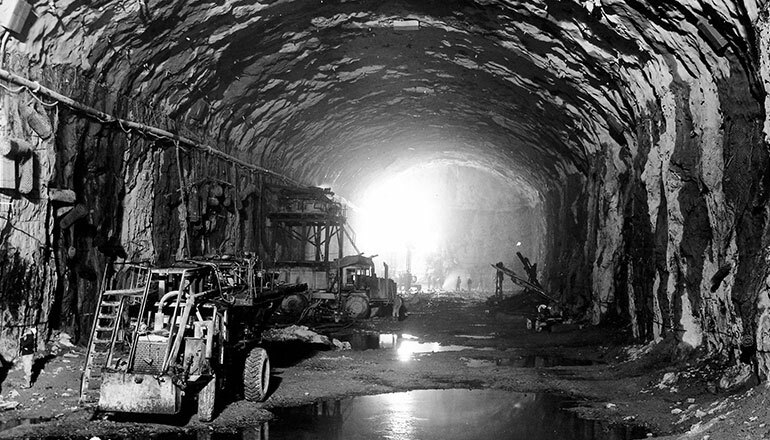 Like company leadership before them, Allen Neyland was awarded the “Tunneling Achievement Award” by the Australasian Tunneling Society for his lifetime achievements in the field, and Bill Edgerton received the Golden Beaver Award for Engineering in 2012. By 2013, Jacobs Associates was leading major stormwater, wastewater, freight rail, rail mass transit, and highway tunnel projects in Los Angeles, Portland, San Francisco, Seattle, and Vancouver. The firm had established itself as the premiere underground firm working on projects from Australia, where it all started, to the East Coast of the United States. McMillen was founded by Mort McMillen and Mara McMillen in 2004. They started the business to provide technical services to the natural and water resources industry with a focus of keeping the client’s needs at the forefront of every project. Mara and Mort have each spent over 20 years in the engineering and construction industries. Mort began his career with the U.S. Army Corps of Engineers (USACE) where the foundation of his water resources expertise was developed. Mort then moved into the private sector working for an international engineering firm, before starting the McMillen business. His technical engineering and construction expertise spans a wide range of water resources projects including fish passage, dams, hydraulic structures, and hydropower facilities. Mara worked her entire career with national engineering firms where she rose quickly to serve as a Vice President focusing on business development, operations, and finance. Together they started a successful partnership founded on expansive technical expertise, sound operations, and effective business development to start and grow McMillen. Idaho Power Company was one of McMillen’s first clients where they provided fish passage engineering and design at Hells Canyon Dam and Swan Falls Dam. These first successful projects led to a long term working relationship with Idaho Power, as well as fueled McMillen expansion to provide engineering and construction services to private and public utilities throughout the Western United States. McMillen was successful in entering the federal market working for the Natural Resource Conservation Service (NRCS), National Park Service (NPS), U.S. Fish & Wildlife Services (USFWS), USACE, and the Bureau of Reclamation (BUREC) providing engineering, construction, and design-build services for improvements to their existing facilities. In 2004, the firm was organized as a self-executing design-build company to provide efficient project delivery to our clients. Through their observations of ongoing design-build projects in the water resources industry, they developed a vision to deliver integrated design-build services where the engineering and self-executing construction was within one organization. Mort and Mara McMillen believed that this type of structure provided great value to their water resource clients by providing a design-build to budget project execution. The very first project, a $50,000 outfall pipe repair at the USFWS Sawtooth Hatchery, evolved to larger and more complex projects for the USACE, BUREC, NPS, and USFWS in Alaska, Idaho, Oregon, Washington, Hawaii, California, Montana, Utah, Colorado, Nebraska, Kansas, Wyoming, Texas, Arizona, New Mexico, South Dakota and North Dakota. From the first engineering contract with Idaho Power Company to its first design-build project with USFWS, McMillen continued to provide highly technical work on challenging water resources projects and expanded its capabilities to include hydropower and dam safety services throughout North America. McMillen performed the first design-build civil works project for USACE, Walla Walla District, the $4.5 million Paradise Creek stream restoration; the first design-build hatchery project in the State of Idaho, the $13.69 million Springfield Sockeye Hatchery; and expanded its design-build capabilities to the hydropower industry, completing the 6.5 MW, $54.5 million Copper Valley Electric Association Allison Creek Hydropower Project. Within 10 years, the firm grew from a 2 person organization providing consulting, to an integrated design-builder with in-house licensing, permitting, engineering, working as a team to deliver projects from planning through start-up, across the United States and Canada.